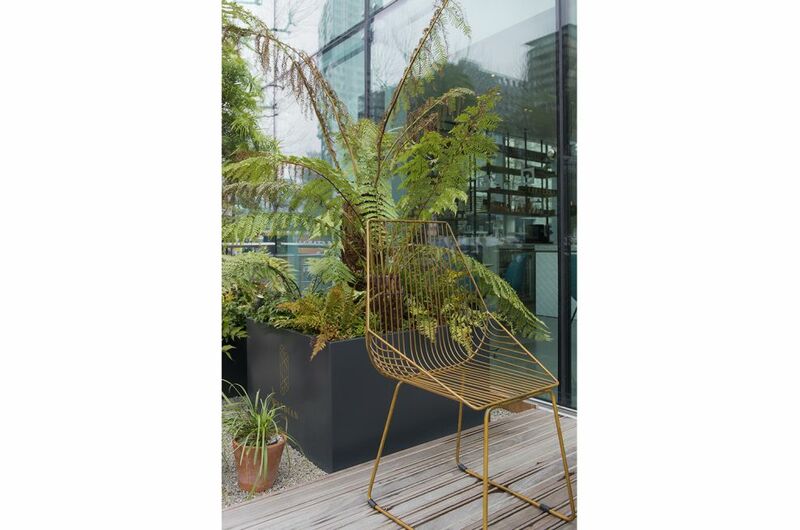 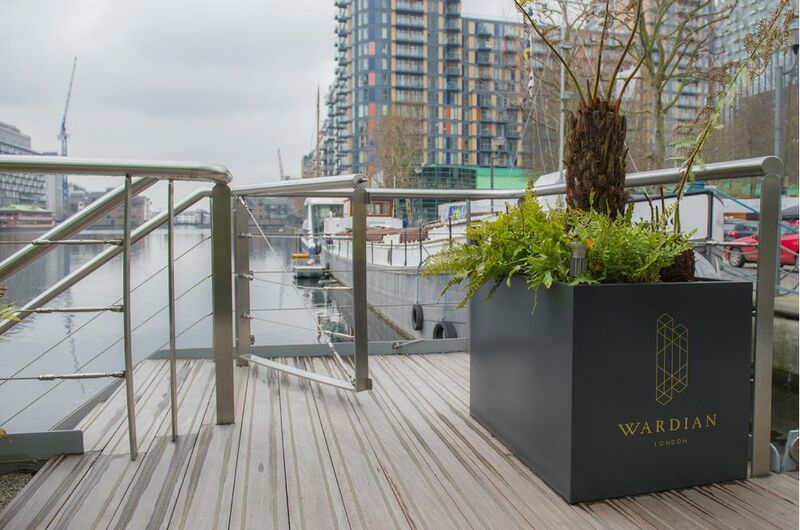 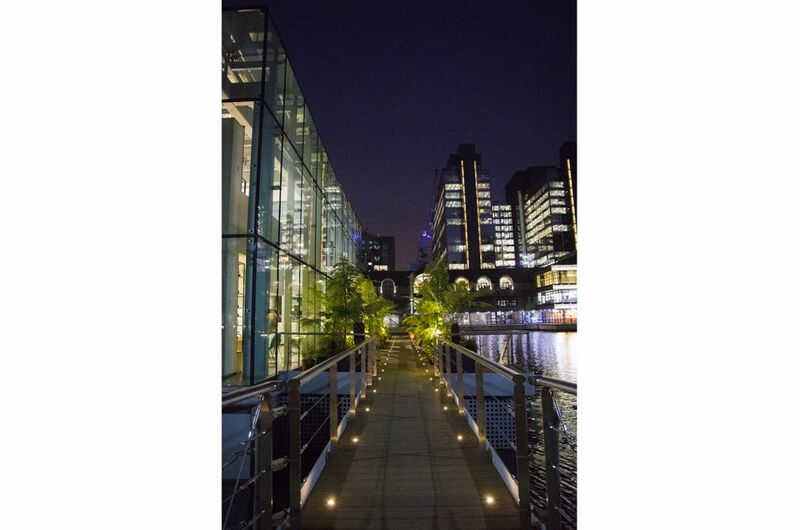 Bespoke steel planters were commissioned for the launch of Wardian London – the prime residential development by EcoWorld Ballymore at Marsh Walk on the Isle of Dogs, London E14. 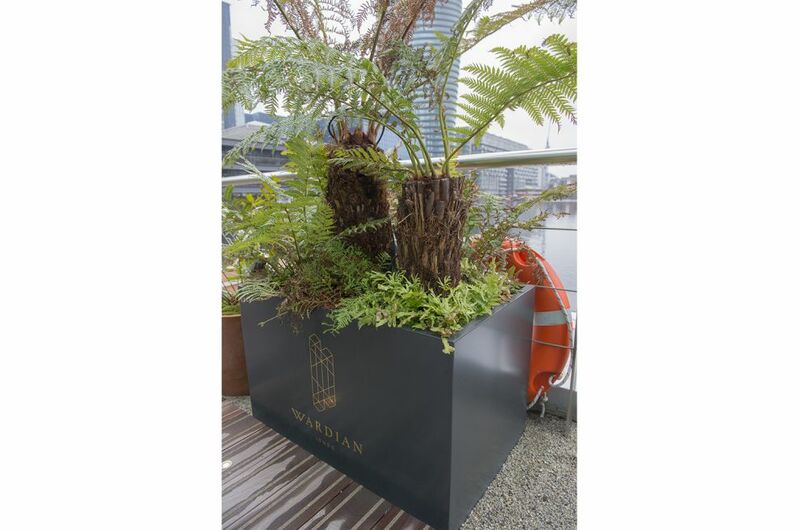 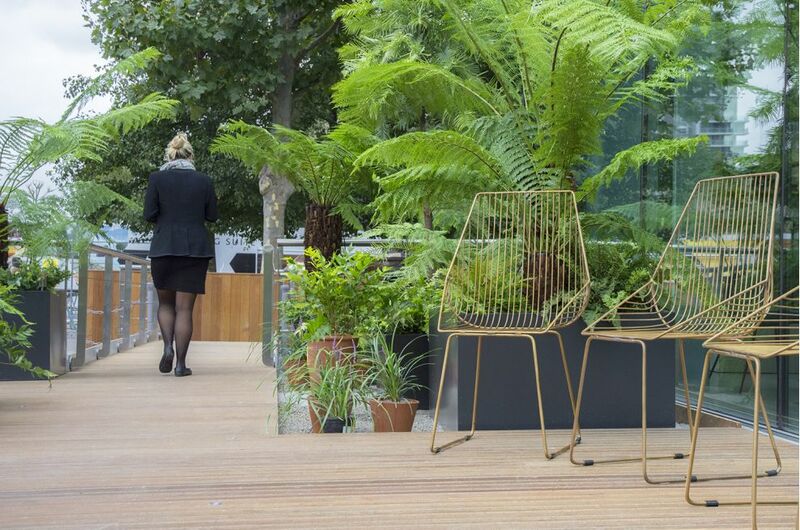 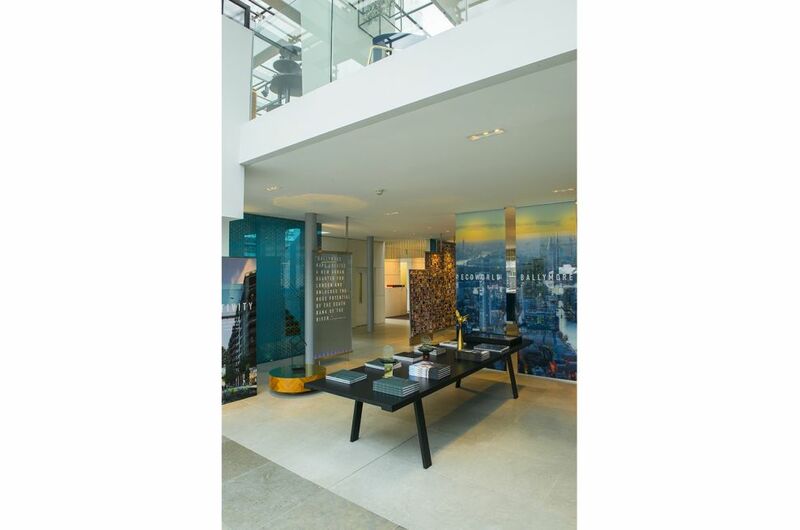 The initial planters commissioned, shown here, are used to green the floating Design Cube at Ballymore, the marketing suite for Wardian London. 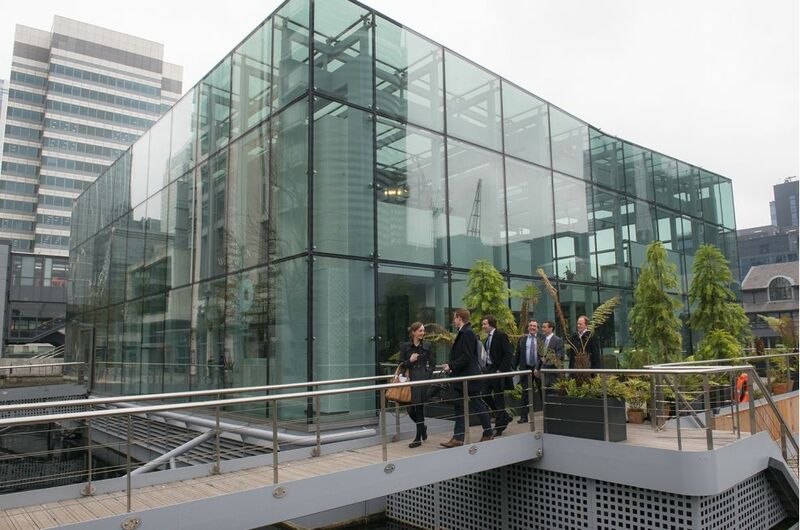 A total of 16nr. 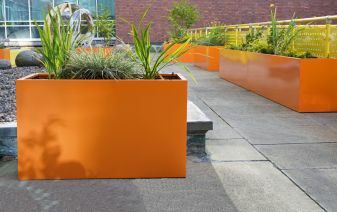 planters were supplied, in a variety of configurations: including tree planters up to dims. 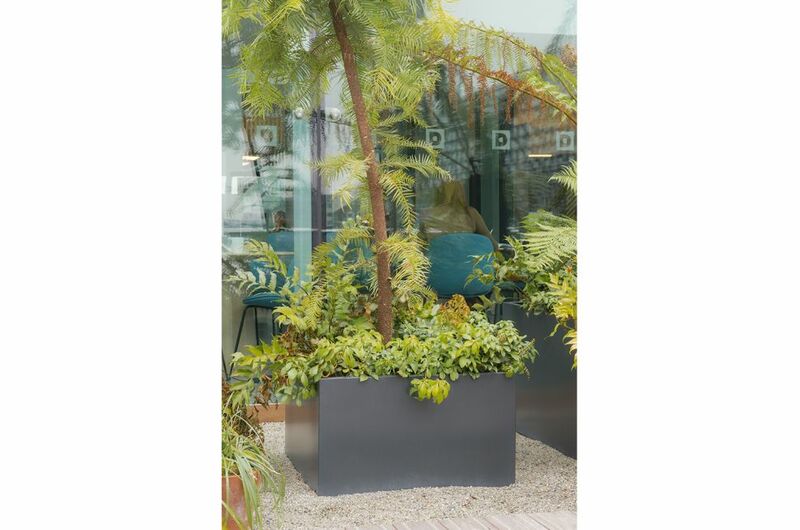 L 1200 x W 1200 x H 900mm, in addition to a number of large rectangular trough planters of various lengths and profiles [the largest being L 2800 x W 1350 x H 530mm]. 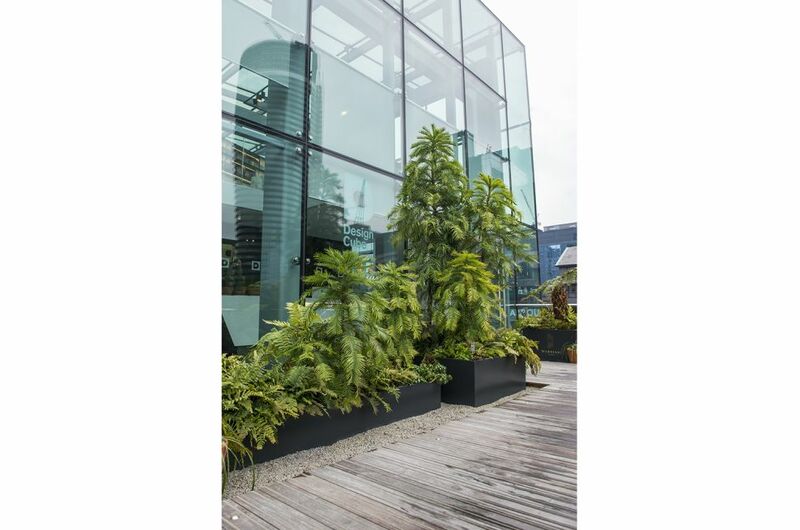 All planters were manufactured from 1.5mm thick Zintec Steel, polyester powder coated to RAL 7021 [Black grey]. 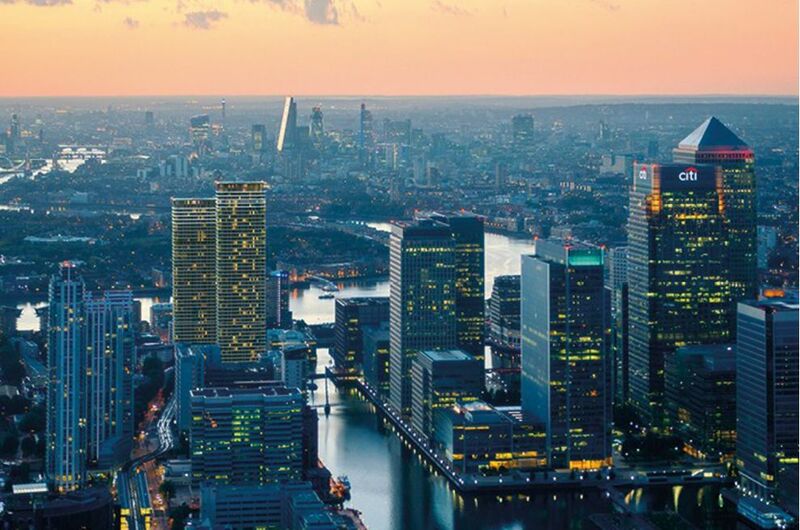 Just a three minute walk from Canary Wharf, Wardian London will comprise of 624 suites, apartments and penthouses in two towers of 50 and 55 storeys. 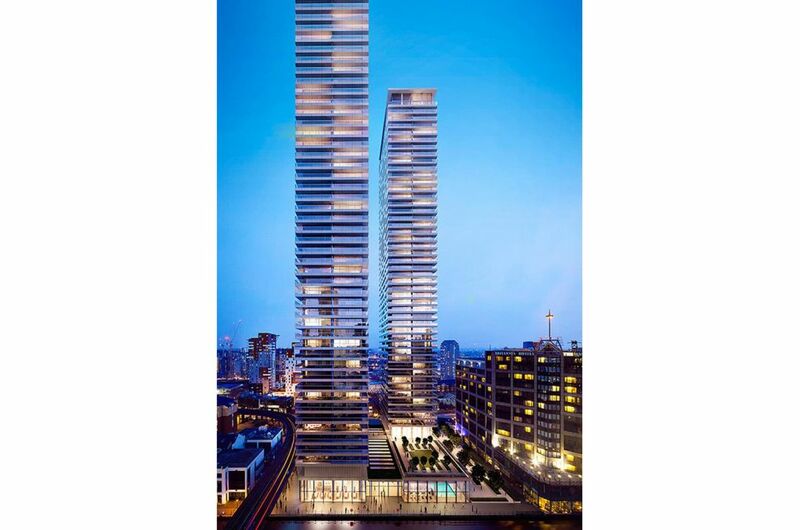 The architect for Wardian London is Glenn Howells and the developer is EcoWorld Ballymore. 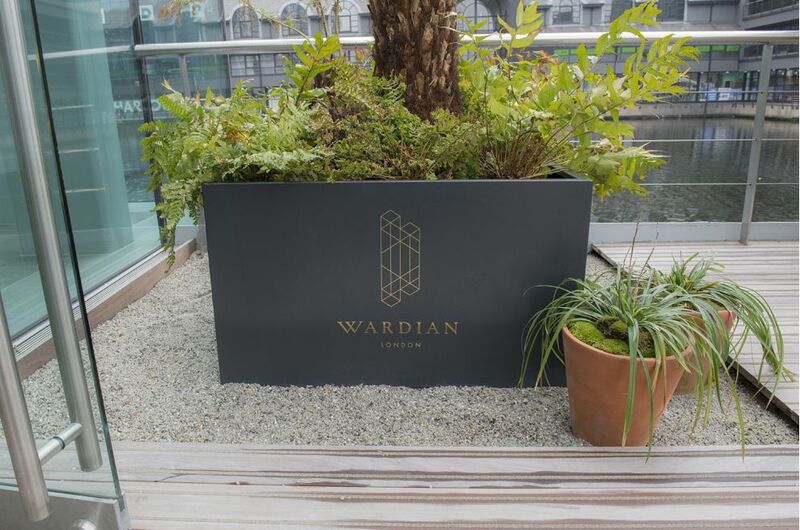 The landscape architects for Wardian London are Camlins, and landscaping is at the heart of EcoWorld Ballymore’s vision “to create a tranquil haven of nature in the heart of London’s new financial centre”. 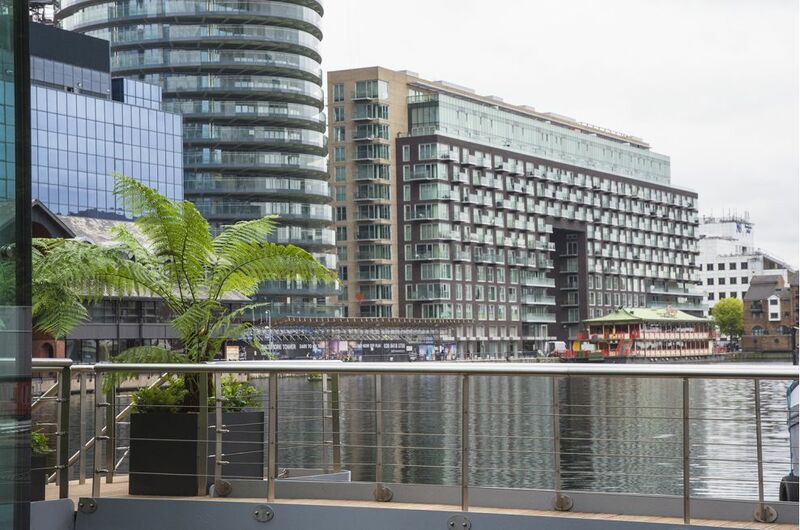 Gardens and exotic plants will feature throughout both towers: including a sky garden; an open-air swimming pool within a tropical environment that includes a living wall; a public plaza with sunken gardens; and generous private balconies.